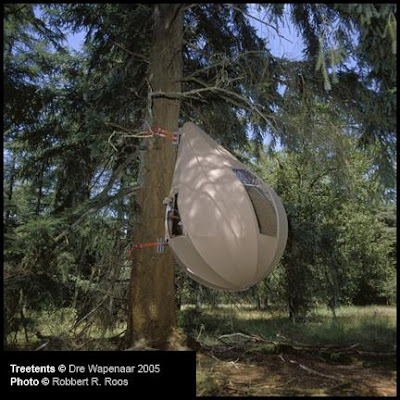 A beautiful concept by D Wapenaar, if you are among those who would prefer to sleep in the woods, feel the fresh open air, and want to hold on to that feeling, then this is something for you. 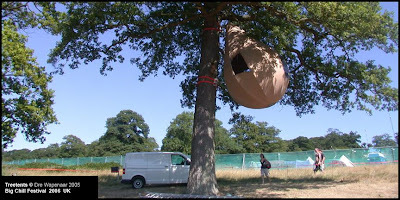 Its quite comfortable, keeps you high up on the tree and gently sway along with that magnificent tree trunk. 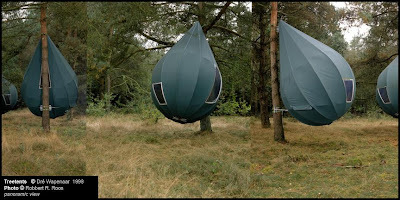 The first 3 tree tents were created for Campsite De Hertshoorn in Garderen in 1998. A new edition was built in 2005 and this was loaned and used for shows directly from Studio Dré Wapenaar. And the first one was exhibited at the MoMA in New York for the show and after which it was on tour to many different shows in Europe. Swimming Pools You Love To Get In.